Do Jehovah's Witnesses celebrate communion? Do Jehovah's Witnesses celebrate the Lord's Supper/communion? If so what are their beliefs about the nature of the Sacrament? Do they believe in Transubstantiation or some variant of symbolism? Is participation optional or required and who decides? Is there an age limit? Are there times a member would be restricted from participation? JW's do not accept transubstantiation (the unyeasted bread means/symbolizes Jesus' perfect and sinless body and the wine represents his blood he sacrificed to save humankind from the sinful state inherited by Adam and to seal the second covenant). The biblical verses in the New World Translation (NWT), the translation JW's commonly use, also underline this symbolic meaning of the bread and wine. In Mt. 26:26-28, Mark 14:22-24, Luke 22:19-20 and 1. Cor. 11:24-25 the NWT-committee translated the Greek verb 'estin' in these verses (literally: this 'is' my body; this 'is' my blood of the covenant) in a figurative way as 'means' (this 'means' my body, this 'means' my blood of the covenant). The wine and bread are thus clearly considered symbols or emblems. To answer your question properly, one has to understand the basic tenets of JW's doctrine. JW's believe that throughout the entire Christian history God has selected only 144,000 to go to heaven where they will rule as kings and priests together with Christ (See Rev. 7:1-8 and 14:1-5). According to JW's it is God's holy spirit who convinces the individual that they indeed belong to the anointed class and have a heavenly call (Rom. 8:16-17) . Only with them Jesus has entered into a second covenant (see e.g. Luke 22:29-30). God's Kingdom will however also rule over the earth, which will for ever be inhabited by a 'great crowd' of righteous ones/other sheep (JW's and non-JW's) which no man is able to number. See John 10:16 and Rev. 7:9. Only the ones who belong to the 144,000 anointed partake of the emblems (i.e. eat from the bread and drink from the wine). Thus they show they belong to the second covenant and are one with Christ. According to the Watchtower-doctrine, the anointed one is apparently under 'a command' to partake of the bread and wine (Gal. 6:16; Watchtower 1985, March 1, Question From Readers). So in order to eat the bread and drink the wine in this day and age 'lawfully', you have to be (1) baptised as a Jehovah's witness, (2) 'in good standing', or at least not disfellowshipped and (3) believe you belong to the anointed class. There are only a few thousands among the JW's today who still believe they go to heaven, the other JW's ("great multitude of other sheep") believe they will live for ever on paradise earth. So the great majority of Jw's do not drink from the cup of wine or eat the bread, but simply "pass" these emblems. Persons who are present at the memorial, but are no (baptised) JW's, are instructed not to partake of the emblems. In most congregations of Jehovah's witnesses there are no anointed left, so the emblems are "merely passed" and left untouched. The bread and wine only enjoy a special symbolic meaning during the memorials 'ceremony'. The leftovers have no special meaning at all, are certainly not holy and can be eaten by anyone or simply discarded of (and are thys considered just any other food product). See e.g. Watchtower 1976, February 1, 88. The emblems are only passed once a year on 14th Nisan (last supper) and this in remembrance of Jesus and in accordance with his command (Luke 22:19 and 1 Kor. 11:20). The emblems are only passed and taken by the anointed after sunset. So the exact time (hour) varies from place to place, but the memorial can only be held when the sun has set. Only when an anointed person is ill and can't make it to the memorial or there is another valid reason for his or her absence, the emblems can be taken on another date than 14th Nisan (this is very rare, and I take it the emblem must then still be passed after sunset in a kind of a private "ceremony"). The anointed person could than partake of the emblems 30 days later than 14th Nisan (if possible). This is in accordance with the ancient laws of Israel when a man could not attend passover in case of 'force majeure'. See Numbers 9:10,11 and 2 Chron. 30:1-3, 15. The JW doctrine has undergone a substantial change recently. JW's believed since the 1930's that the number of anointed ones was "sealed". This normally meant persons had to be baptised as a JW before the 1930's, if they claimed to be of the anointed class. Since JW's are not baptised as infants, but later when they are personally convinced that their religion is true, normally only persons who are born in 1920's or before could belong to the anointed. I say "normally" because in theory a younger person could belong to the anointed class if an older anointed person defected from the faith and the younger one fills in the place among the anointed that has become vacant (Rom. 11:17-22). JW's now (Watchtower 2007, May 1, Questions From Readers) believe, however, that the number was never sealed in the 1930's, so every baptised JW could claim to belong to the anointed class. The only age limit is connected with the fact that the person has to be baptised. In theory an exceptional child which has sufficient understanding, say of 9 years old, could be baptised and thus partake of the emblems and claim an 'anointed' status. Such a decision would likely be highly controversial and probably met with some skepticism among JW's (See in this light: Watchtower 2011, August 15, page 22: 'A number of factors including past religious beliefs or even mental, or emotional imbalance-might cause some to assume mistakenly that they have the heavenly calling. We thus have no way of knowing the exact number of anointed ones on earth; nor do we need to know.'). I don't recall there are any special instructions how to deal with a minor anointed one who drinks the wine and might infringe on local (penal) laws. The red wine (e.g. chianti, bourgogne or bordeaux, but no sherry, port, dubonnet, ...) is poured out in a cup and the unyeasted bread leaves are laid down on a plate. The Jw's have given certain instructions about acceptable recipes, table decoration and flower arrangement (See e.g. Watchtower 1985, February 15, page 19). The passing and partaking of the emblems (cup and plate) happen while you remain seated. So one does not "go" to communion. It also means there has to be a person to your left and to your right (you accept the emblem from the person next to you and pass it to the other). For the person at the end of the row of the seats, there is no one seated to accept the emblem. This problem is solved by men who are standing at the end of a row of the chairs who accept the emblem and pass it to the next row of sitting persons. Somewhat peculiar is that these 'standing' men also take their seat afterwards and pass the emblems among them, this time while sitting. The memorial is the only time that the ones who partake of the emblems are counted: in that way the JW's organisation still keeps track of how many persons of the 144,000 anointed ones still remain alive today (therefore they are called the "holy remnant"). Persons who are no (longer) faithful Jehovah's witnesses and still do partake, are considered not genuine partakers and are not counted. These figures are published every year, together with other statistics. The anointed-statusdoes not have any other special effect (except that only anointed men are on the Governing Body) and the JW's now believe that the (exact) amount of anointed ones who remain, is no longer of particular interest. After speaking to someone I know who is a former witness, the short answer is "No." They treat the body of Christ similarly but differently. If they have some equivalent, which many would debate, it's something they call "The Memorial of Christ's death" which occurs once a year and only the "anointed" are allowed to eat the bread and drink the wine. its like you walk and I drive and I think driving is better so I ask you things like "so when its a yellow light do you walkers push on the brake or speed up? What do you use as a brake? Do you think yellow lights are long enough to pass through as a walker?" Just to shed light on the wide spectrum of thoughts on the matter. I find that going right to the source is the best answer. All of the witness books are free and displayed on the website. I myself am not terribly knowledgeable in this area so I looked up the articles that help explain this a bit better. This article is from the 2013 watchtower article What Does the Lord’s Evening Meal Mean to You?. This next link is already partially covered above. It is taken from the book Insight from the scriptures volume II and the article is Lords Evening Meal. I would say (in my opinion) that the participation is mandatory. Jesus commanded the apostles to keep observing the meal in remembrance of him (1 Corinthians 11:23). It would be very disrespectful to not attend and acknowledge Jesus's sacrifice for us even if we are only observers. As to age restrictions, those restricted from observing or participating, and maybe other questions I think that the article explains more effectively than I. Not the answer you're looking for? 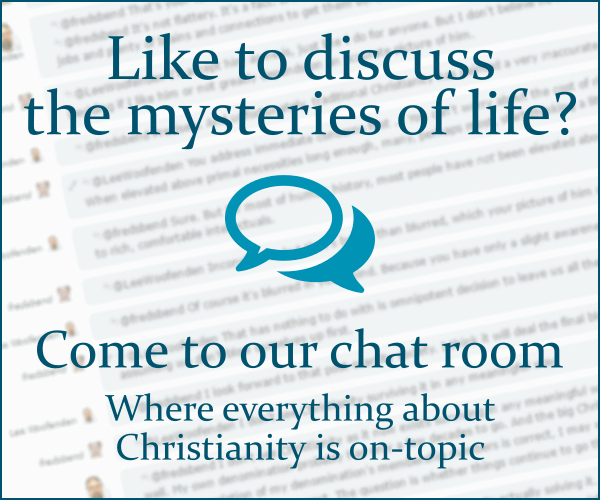 Browse other questions tagged communion jehovahs-witnesses or ask your own question. Do Jehovah's Witnesses use different language for theological reasons? What's the Protestants' view on the purpose of sacraments? In light of the fact that Donatism is heresy, why do most churches require a priest to bless the elements? Why do Jehovah's Witnesses not celebrate birthdays? What was John Wesley's view of the Lord's Supper? How do evangelicals interpret 1 Corinthians 10:16? According to proponents of transubstantiation, in what sense is Jesus present “where two or three are gathered”? What was the difference between Berengar's view of the Eucharist and that of Zwingli? Did the New World Translation lead to any doctrinal changes? What are Jehovah's Witnesses beliefs on how those who died before Jesus, or before JWs existed, will gain salvation?